Behavior University creates university quality educational experiences for families and professionals to help improve quality of life for persons with autism spectrum disorders and other neurodevelopmental disabilities. Behavior University is the brainchild of Drs. Jessica Love and Shannon Crozier, two BCBA®-Ds with a passion for teaching families and professionals about Applied Behavior Analysis and evidence-based practices for autism. We came to work in autism through very different paths. Jessica began her career as an ABA home program tutor and Shannon started hers as special education teacher. We share a passion for working with kids with ASD and their families. Our paths taught both of us how important it is for families to have access to the information they need to understand and be active in their child’s therapy. We also learned about the many barriers that get in the way of accessing quality behavior therapy, including high costs, limited numbers of therapists, and insufficient information and training. 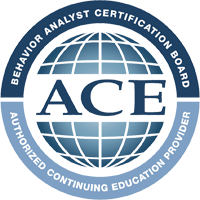 We started Behavior University to make it easier for parents and professionals to learn about Applied Behavior Analysis (ABA) and apply it in everyday life. We have spent a combined total of 18 years in Nevada’s higher education system, teaching families and professionals how to apply ABA in home, school, job, and community settings and there was always more need then available support. Both of us love to teach families the skills we have learned to help them feel confident and capable of guiding their child’s growth. Research demonstrates that ABA is very effective for teaching new skills and reducing challenging behaviors. Too often it has been our experience that people are only familiar with a tiny piece of ABA. ABA is a rich and exciting science! There are many different interventions and tools that can be combined to create truly individualized programs. Our goal is to provide dynamic, engaging, high quality opportunities to learn about them! Overall, Behavior University aims to help reduce family and professional barriers by providing university quality education at an affordable price through accessible online training.